« No, YOU have a drinking problem! At the risk of becoming a bit too familiar, I want to talk about Hubby for a moment. He walked into the room the other night and in his best Joey Tribbiani voice (“How YOU doin’?”) said, “You look GOOD.” and gave me a little wink. Let me tell you what I was wearing. Jean capris, cardigan and total mom shoes…comfortable and chunky with a good, squishy sole. The only way I could have looked LESS good, was to travel back in time and have Grandma give me another Ogilvie home perm. But he meant it, bless his heart. 1) His celebrity crush is still Sigourney Weaver and not Megan Fox. 2) His favorite part of a woman’s body is a small, poochy tummy. 3) He never really “clicked” with soft-spoken women. He makes it easy to hold to my pro-aging stance. He hasn’t said one negative thing about the gray hair, my saggy knees or veiny hands. Of course, his eyesight isn’t what it once was, but I’m preferring to believe that it’s love that blinds him to my encroaching decrepitude and not his stubborn refusal to wear reading glasses in public. For my part, I like to think that I return the favor, growing ever more appreciative of the man he has become. Sure, his back tends to go out every once in a while, his naturally sunny disposition has led to some serious smile lines around the eyes (LOVE them!) and perhaps his hair isn’t quite as thick as it once was, but he is loyal, intelligent, loving and absolutely the number one person I can depend on. All in all, there isn’t one thing I would change…. 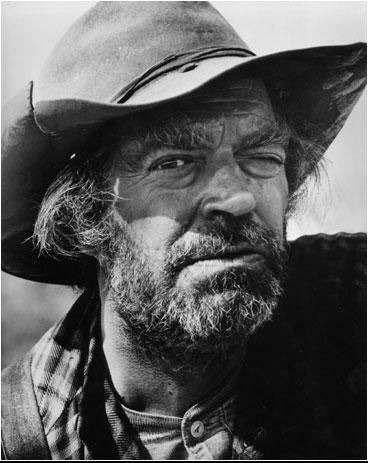 …except for his old-timey, wild-west prospector eyebrows. That craziness just has to GO!